Special performance event on 24th December 2016 after midnight – as part of Sonodrome Fest II at Bar El Congreso, Calle Ricardo Gil, 6, 30002 Murcia (Murcia), Spain. FB event. Entrance: 5€. Start 00:00h until 4:00h. See here the video impression of the event. Organized by Sonodrome Fest. Thanks to José Bermejo. 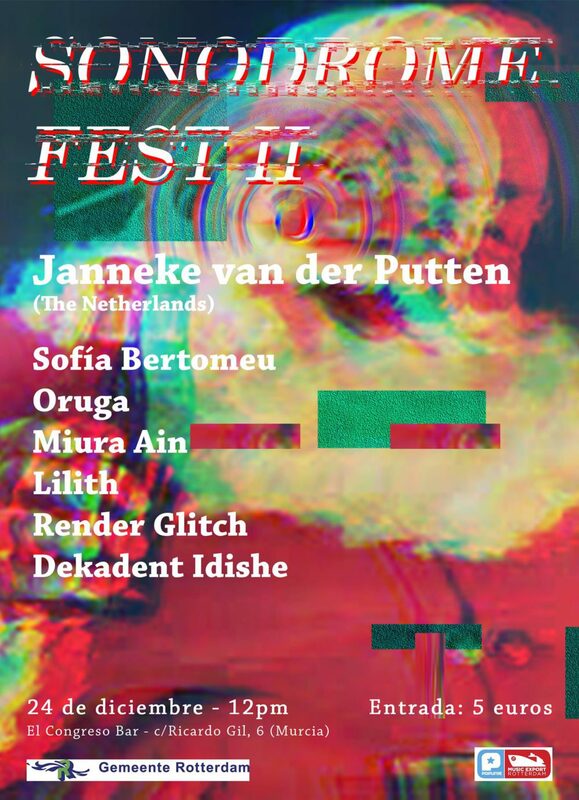 Flyer by Sofía Bertomeu. Part of the programme are also Sofía Bertomeu + Oruga + Miura Ain (Uh Bravo) + Lilith + Render Glitch + Rhizome – Dekadent Idishe.